Milton Snavely Hershey was born September 13, 1857, shortly before the American Civil War, on a Derry Township farm located in central Pennsylvania. Like most of the people whom he knew, he was the descendant of people who immigrated to Pennsylvania from Switzerland and Germany in the 1700s. He grew up speaking the “Pennsylvania Dutch” dialect and inherited from these people characteristics such as a propensity for hard work, diligence and thriftiness. His father, Henry Hershey, was an inquisitive man who loved to read books. He was never financially successful, however, and moved his family several times during Milton’s childhood as he pursued a variety of business ventures. He tried, among many efforts, seeking his fortune selling equipment during the western Pennsylvania oil boom, developing a trout pond and running a fruit farm and nursery. Milton’s mother, Fanny Snavely Hershey, was a strong-minded and frugal woman who was often frustrated and disappointed by her husband’s failures. As a result, the two drifted apart and Henry Hershey spent long periods away from home, trying his luck in Philadelphia, New York, Chicago and even Colorado. Milton Hershey had very little formal schooling. He attended at least seven schools as his family moved from their original home in Derry Township to Lancaster County, but his education was sporadic and disjointed. As an adult Milton Hershey was self-conscious regarding his limited formal education. Although he became successful without the benefit of a good education, he made many provisions to provide the children of his community with quality schools and opportunities for learning. As a young adult at first it seemed that Milton Hershey had no more talent for business than his father. He failed twice before he finally found success making caramel candy. When he was almost 14 years old, Milton’s father apprenticed him to the editor of a small, German-language newspaper in Gap, Pennsylvania. Milton was clumsy, though, and hated the work. He soon got himself fired. Next, his mother found him an apprenticeship with Joseph Royer, a candy and ice cream maker on King Street in Lancaster, Pennsylvania. It was here that he learned the basics of candy making. Milton was ambitious, and in 1876, after training and working with Royer for four years, made plans to move to Philadelphia where the Centennial Exposition, the United States’ first World’s Fair, was taking place. Hoping to cash in on the money that people would bring to the Centennial, Hershey started a confectionery business. His mother’s family helped by subsidizing the business at first. His mother and his Aunt Martha (Mattie) came to Philadelphia to help him. But though they all worked terribly hard, Milton was never able to generate enough cash flow to make the business a success. After six years of hard work, Milton Hershey’s first business venture went bankrupt in 1882. Hershey was persistent. His father had traveled to Colorado and wrote encouraging letters about the opportunities waiting for astute entrepreneurs. 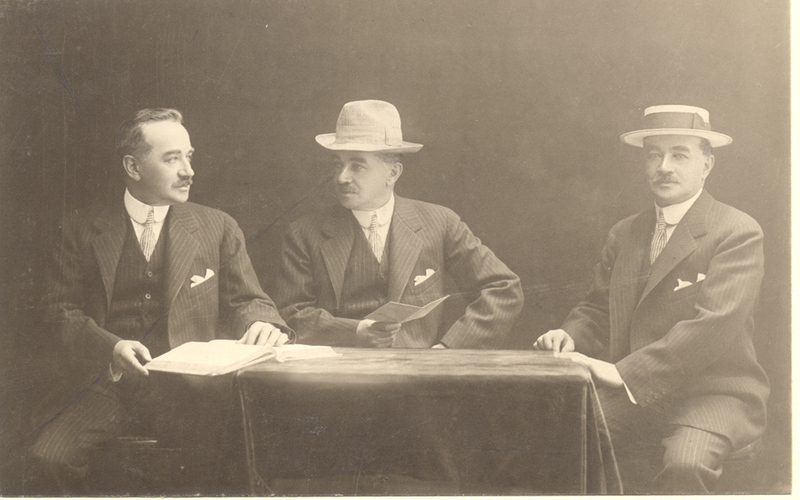 In 1882 Milton Hershey followed his father’s advice and went to seek his fortune in Denver. Unfortunately, the city of Denver had just entered a three year depression which followed a slackening in ore production. Milton Hershey didn’t believe he could start a successful candy business without financial help. So instead of starting a new business Hershey found work with a local confectioner. Working for this confectioner, Milton learned an important process for making candy that held the key to his future success. The Denver confectioner taught Hershey how to make caramels with fresh milk. Armed with this new formula he soon left Denver to seek out opportunities in Chicago and New Orleans. Finding nothing he was drawn to New York City in 1883. There he started a second business. While this venture enjoyed some initial success, it also was plagued with cash flow problems and failed by 1886. Discouraged but not defeated, he returned to Lancaster but did not even have the money to have his possessions shipped to him. When he walked out to his uncle’s farm, he found himself shunned by most of his relatives who viewed him as an irresponsible drifter. This time, though, fortune finally smiled on Milton Hershey. 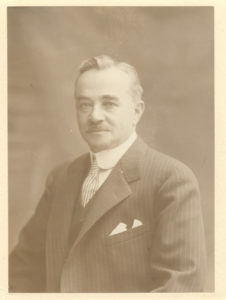 William Henry Lebkicher, who had worked for Hershey in 1880 at the Philadelphia shop, stored his things and helped him pay the shipping charges, becoming the first in a long line of men who were devoted to Milton Hershey and on whom he depended. Aunt Mattie and his mother began once again to help him with production and Milton started manufacturing Hershey’s “Crystal A” caramels, a “melt in your mouth” candy made with fresh milk. A large order from a British candy importer led Hershey to ask the Lancaster National Bank for a loan to finance the purchase of much needed raw ingredients. The bank’s cashier was so impressed by Hershey that he lent him the money, backing the loan with his own signature. When Milton Hershey received payment for the candy order he was so excited that he ran down the street to the bank with his apron still on. From that time on, the Lancaster Caramel Company was extremely successful, and by 1894 Milton Hershey was considered one of Lancaster’s most substantial citizens. The success of his caramel business enabled Hershey, for the first time in his life, to spend money for his own pleasure. While he was never ostentatious, he clearly had a longing and a taste for beauty and elegance. One of the first things he did was purchase a spacious home at 222 South Queen Street, Lancaster, in 1891. He remodeled the house, taking great interest in its furnishings and filling it with exotic birds, plants and mementos of his travels. Milton Hershey’s love of gardens, which was to be so evident in the town of Hershey, was clear from the start as he closely supervised the landscaping of the grounds. 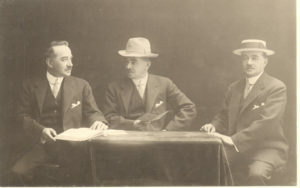 As was fashionable among other well-to-do Americans of the time, Milton Hershey began to travel to such places as Mexico, Europe, England, and Egypt. Ever curious and always picking up ideas from what he saw, he visited museums, shops, and tourist attractions, walked the streets, watched the people, and is said to have kissed the Blarney Stone and gambled in Monte Carlo. In 1898, Milton Hershey, now forty years old, astounded everyone by marrying Catherine “Kitty” Sweeney, a beautiful Irish-American Catholic girl from Jamestown, New York. She brought gaiety, wit, and warmth into his life. By all reports their life together was very happy. The Hersheys lived first in Lancaster, but when ground was broken for the new chocolate factory in 1903, they planned to build a house there. Their home, High Point, was built on a rise overlooking the factory. Finished in 1908, its furnishings – Oriental rugs, lamps, plants and stuffed chairs – reflected the styles of the time as well as the Hersheys’ enjoyment of the many pieces they had acquired during their travels. In the early years at High Point the Hersheys entertained friends often, and also traveled extensively. Sadly, Mrs. Hershey was struck by a debilitating disease and died prematurely in 1915. Caramels gave Milton Hershey his first million, but chocolate gave him his real fortune. His vision for the potential of chocolate was shaped by a visit to the 1893 World’s Columbian Exposition in Chicago, where he became fascinated by an exhibit of German chocolate-making machinery. At the end of the Columbian Exposition, Hershey bought two pieces of the equipment and had it installed in a wing of the Lancaster Caramel factory. He also purchased additional equipment through the company’s New York office, also having it delivered to Lancaster. His commitment to developing a chocolate business was confirmed when the Hershey Chocolate Company was established as a subsidiary of the Lancaster Caramel Company in February 1894. Within a year Hershey was producing his own chocolate, as well as cocoa and baking chocolate. His confectionery line would soon include over 100 varieties of vanilla sweet chocolate novelties (known today as semi-sweet or dark chocolate). By the late 1890s, Hershey was convinced that his future lay in producing chocolate rather than caramels. In 1900, he sold his Lancaster Caramel Company to competitors for $1 million to devote all his energies to his quickly expanding chocolate business. His search for the perfect site to build a complete chocolate factory led Milton Hershey back to his birthplace in Derry Township, Pennsylvania. He purchased The Homestead, the farm where he had been born, in 1897. The Homestead served as the site for Hershey’s milk condensing experiments, a necessary first step in developing a formula for milk chocolate. Beginning in 1898 Hershey and a few chosen employees worked long hours side by side, and into the night, until just the right blend of ingredients was found for milk chocolate. As one of these men recalled later, “Nobody told Mr. Hershey how to make milk chocolate. He just found out the hard way.” Personal involvement in the work at hand was typical of Milton Hershey. While experiments for a formula for milk chocolate would continue for several years, Hershey’s Milk Chocolate was first introduced in late 1900. The product enjoyed immediate success. By 1902 it was obvious that a new, larger factory was needed to produce milk chocolate. After inspecting possible sites for his new chocolate factory in New York, New Jersey and Maryland, Hershey was soon convinced that the central Pennsylvania countryside would provide everything he needed for a factory: a plentiful water supply, access to rail lines, fresh milk and industrious workers. When his wife heard that Hershey intended to build in Derry Township, she told him he ought to have his head examined. Most of his associates agreed with her because they felt the site was too remote. However, Hershey’s mind was firmly made up. Beginning in late 1902, Hershey quietly began buying land through an agent. Ground breaking took place on March 2, 1903, and by summer 1905 the new factory was completed. The Hershey Chocolate Factory was designed to produce milk chocolate using mass production techniques. Much of the specialized machinery was either developed or adapted by factory employees. When the Hershey Chocolate Company was first established, Milton Hershey produced many varieties of sweet chocolate candies. When he made the brilliant business decision to concentrate on Hershey’s milk chocolate, and a few other basic chocolate products such as cocoa and chocolate coatings, his name became the nationwide symbol for quality milk chocolate in a phenomenally short time. 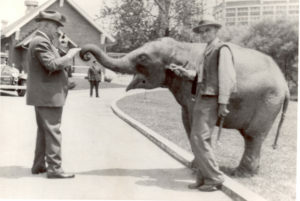 Hershey had other qualities as well, which made him a good businessman. He was imaginative. He had the skill of choosing able assistants and of keeping their devotion. He had a broad grasp of markets and of their possibilities and, he was daring. Once he had made a decision, he put his entire force behind it, whether it was making chocolate, producing his own sugar in Cuba or, wrongly as it turned out, trying to stabilize the price of sugar futures. On the whole, he was respected for his honesty, for driving hard bargains and for selling a first-class product. Milton Hershey was a doer, not a philosopher. He rarely wrote and seldom talked about his beliefs. Nevertheless, he obviously thought a lot about such matters as success and the value and purposes of money. He believed wealth should be used for the benefit of others and practiced what he preached. He also understood that doing good works was also good for business. That practical approach did not lessen the depth or scope of his interest in other people’s welfare. 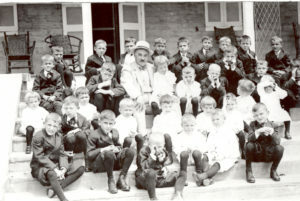 Milton Hershey used his chocolate fortune to primarily benefit two projects: the town of Hershey and his Hershey Industrial School for orphan boys. Although some questioned the wisdom of his decisions, no one ever questioned his sincerity. Plans for building the town went hand in hand with building the factory. Since Hershey started his company in the middle of farmland, not in a town, it was clear from the start that he would have to provide a place for at least some of his workers, as well as his managerial staff, to live. With the help of Henry “Harry” N. Herr, a Lancaster engineer, plans were drawn for a pleasant tree-lined community which provided for all the needs of its residents. A bank, hotel, public school, churches, parks, golf courses and a zoo followed each other in rapid succession. At the onset of planning for the town, Milton Hershey developed a trolley system so that employees would not be forced to live in Hershey and had a way to get to work from nearby towns. Some people were suspicious of Hershey’s motives in founding the town, and feared that he would take advantage of people who lived there, as had happened in other “company towns.” Workers, for example, vetoed Hershey’s idea of forming a cooperative store because they thought they would somehow be cheated. But though Milton Hershey could certainly be autocratic and was criticized for deciding what was important, often without consulting the town’s residents, his concern for his workers’ welfare was genuine. Like other industrialists who built model towns for their workers, Milton Hershey took great pride in his community. As the town population grew, Milton Hershey provided for new schools, a new bank building and expanded services such as the trolley system and telephone service. The community remained an enduring passion for Milton Hershey throughout his life. The coming of the Depression beginning in 1929 threatened to bring economic disaster to his community. Hershey responded with his own unique form of benevolent paternalism. As the Depression deepened, Milton Hershey undertook a major construction program, which became known as the Great Building Campaign. During the 1930s, more than 600 men found work building many structures that later became major tourist attractions. Hotel Hershey, Hershey Community Theatre, the Community Building, the Hershey Industrial Junior-Senior High School (now Catherine Hall), Hershey Sports Arena, the Stadium and several other smaller projects transformed the community into a major tourist destination. While it has often been said that no workers lost their jobs during the Depression, everyone was affected. In 1933 the passage of the NRA (National Recovery Act) mandated that wages and hours be regulated. Limiting hours resulted in the factory being able to hire additional employees, but individual paychecks shrank to a critical point. This financial hardship was a contributing factor to the factory’s 1937 sit-down strike. Saddened because they had no children of their own, and anxious to put their growing fortune to good use, Milton and Catherine Hershey founded the Hershey Industrial School (now Milton Hershey School) for orphaned boys in 1909. 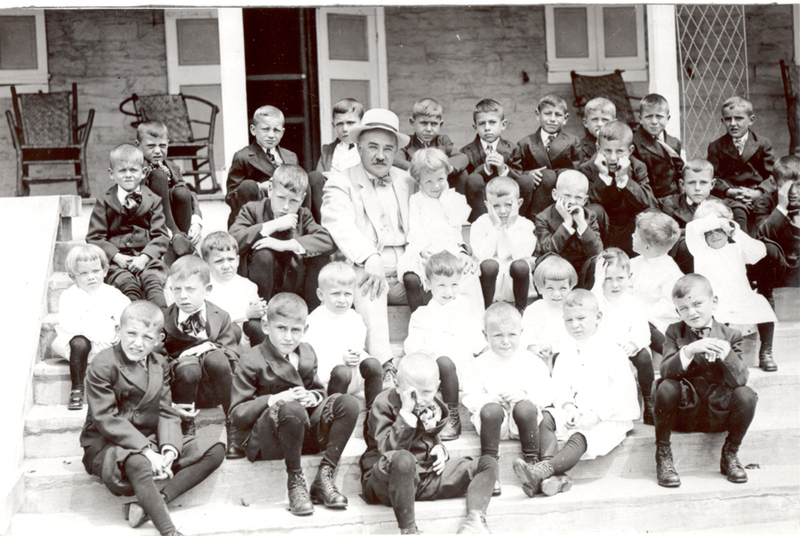 Inspiring the establishment of the school was Milton Hershey’s own childhood memories of hard times and his hope that he could spare some children the pains he had experienced. In 1918, following his wife’s death in 1915, Milton Hershey gifted the School’s trust fund with his entire fortune, his ownership of the Hershey Chocolate Company, then valued at $60 million. Characteristically, the gift was not made public until 1923. When Milton Hershey died on October 13, 1945 at 88 years of age, a chocolate bar had carried his name around the world and made him a legend. Poor boy turned millionaire, he was loved and admired as well as envied and sometimes misunderstood. Hershey had the good fortune to develop the chocolate industry in the right place at the right time. His personal convictions about the obligations of wealth and about the quality of life in the community he founded have made that community his living memorial.